A properly functioning brake system is vital to your safety, the safety of your passengers, and the safety of other drivers on the road. Today’s brake systems are increasingly complex systems made up of highly engineered parts, such as brake pedals, master cylinder, brake pads, brake shoes, discs, drums, calipers, brake rotors, and other braking components. The ASE certified mechanics at Four County Import Service offer years of experience in brake repair and maintenance in all makes and models of vehicles. 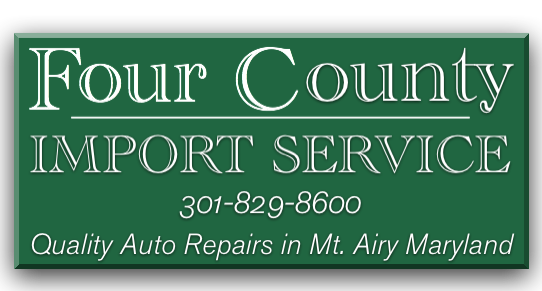 Four County Import proudly serves drivers with quality auto brake repair and brake service in Mt. Airy, MD, and surrounding Frederick County, Montgromery County, Carroll County, and Howard County. Give us a call at 301-829-8600 or stop in today!